Transparency between developers and their communities is always encouraged for healthy discussions to amass critical feedback. Unfortunately, the same aspect can sometimes lead to uncalled opinionated brawls. 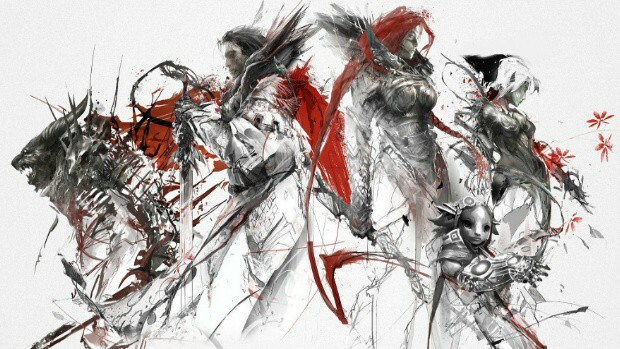 In the case of Guild Wars 2, that meant disaster for two developers. It has come to light that writers Jessica Price and Peter Fries lost their jobs at ArenaNet earlier today after they were involved in a heated exchange on Twitter a few days back. Price only joined the development team a year ago, but Fries has been a long-time employee for more than thirteen years. So what happened? The incident in question began innocuously enough when Price posted a lengthy thread on July 3 about the major difficulties in creating “compelling” characters for massively multiplayer online role-playing games. Deroir, a streamer and partnered content creator through the ArenaNet Partner Program, respectfully disagreed with the given explanation and offered his opinion on how it could be done better in Guild Wars 2. Price did not like that one bit. She suggested that he was uninformed and called him condescending for trying to tell her — a female game developer — how to do her job. She later returned to reduce Derior to a “mansplaining rando asshat” for trying to talk down an experienced developer. Deroir followed up by stating that he just wanted a discussion and not a war. This only infuriated Price further, who commented that she is not sorry for “hurt manfeels” because she is not on the clock. While this was happening, Fries jumped in to say that Deroir had no business to offer his opinion because Price never asked for it. He also argued that posting from personal accounts and business accounts is very different. This did not go down well with the community and wildfires began spreading all over. It brought ArenaNet into the mix and the end result was not pretty. There is a somewhat divide over who is really at fault here. There are firstly those who agree with Fries that Price posted through her personal account and hence, Deroir had no reason to be replying to “private” opinions. The argument is totally rubbish. Twitter is a social media platform and that by definition stands for a public domain. Anything you post from your account is open to all unless limited otherwise. In addition, her account-description clearly mentions ArenaNet by name. Her actions were always going to echo back to her employer, personal account or not. The whole thing about Price being off the clock is also such folly. Being so does not grant you permission to start insulting your customers. Neither does it make sense to start bringing up the gender card, which she did twice. It is important to note that Deroir was never rude at any point and kept his cool even when he was blasted by the former employees. The only ones at fault here were Price and Fries for being… what was the word again? Oh, complete asshats for no reason at all. However, did the unfortunate incident justify the firing of the two writers? Ordinarily, the situation could have been resolved after a round of apologies from the developers. Price, for being a recent recruit, could have been asked to temporarily step away. Fries, in particular, lost the most since he was attached to Guild Wars 2 for more than a decade. Nonetheless, ArenaNet felt it was necessary to immediately terminate the contracts of the two employees. The decision may seem overly harsh for a Twitter dispute but in this digital age, reputation is everything.